The personal data processed will be exclusively those provided by you when completing the following form. The processing of the personal data provided is carried out by means of the operations or the set of operations indicated in art. 4 paragraph 1 lett. a) Legislative Decree 196/2003. We also inform you that the data you provide to the operator of this site at the time of completing the form will be processed in compliance with the provisions of Legislative Decree no. 196/2003, Code for the protection of personal data. 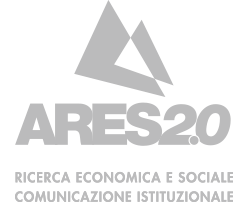 I consent to Ares 2.0 - Ricerca economica e sociale - Comunicazione Istituzionale collecting my details through this form.